If you're worried about sufficient range in your electric vehicle, worry not. 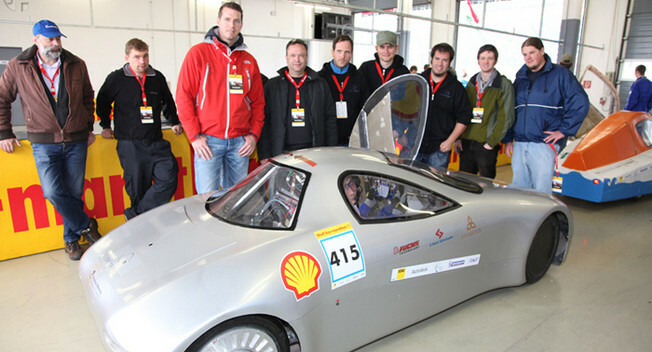 A German team has shown that their experimental “Schluckspecht” EV travelled over 1,000 miles (1,600km) on a single charge. Co-developed between Pforzheim University, the Fraunhofer Institut EMI and the University of Offenburg, the Schluckspecht travelled 1,013 miles (1,630km) on a single charge, shattering the previous EV record of 623 miles (1,003km). The world-record was conducted at Bosch’s test track in Boxberg. Four drivers accomplished the 36 hour and 12 minute trip, with officials and camera crew from the European TÜV Süd observing the whole event. The Schluckspecht was designed from scratch and utilises a lightweight chassis with two in-wheel hub motors and 14 on-board lithium-cobalt battery packs. The Schluckspecht has been a 14 year project, with the team committed to further development. The teams ultimate goal is to develop new vehicle technologies well ahead of market demand.